Janrain, the company that pioneered the Customer Identity and Access Management (CIAM) category, announced it was recognized as “Overall Leader” in KuppingerCole’s comprehensive Leadership Compass CIAM Platforms Report. KuppingerCole is the leading European research firm specializing in Information Security, Identity & Access Management (IAM) and Digital Transformation. Citing Janrain’s focus on enterprise clients who care about security as much as marketing, KuppingerCole senior analyst John Tolbert wrote, “Janrain is mature and highly scalable and should be seriously considered by organizations that need HA, GDPR-compliant consent management and comprehensive marketing analytics features. Since 2017 the company has shifted much of its R&D to security, which will begin to dominate its roadmap and lead to further differentiation.” In addition to beating out SAP/Gigya, Auth0, ForgeRock and other CIAM providers, Janrain is far ahead of traditional workforce-centric identity management providers such as Microsoft, IBM and Okta in fulfilling consumer-driven needs for brands. As part of naming Janrain the Overall CIAM Leader, KuppingerCole listed Janrain as a Leader for all matrices touting Overall Product Leadership, Overall Market Innovator, and Overall Market Leadership as well as for all correlated views charting Market/Product, Product/Innovation and Innovation/Market. Janrain also received high marks for security, functionality, integration, interoperability, usability, innovativeness, market position, financial strength and ecosystem. Large enterprise client base: This speaks to Janrain’s focus on large complex clients who demand global reach, scalability and mission-critical availability. Janrain is the only CIAM provider with the experience of more than 3,400 commercial deployments, 6,700 applications in over 65 countries, and a reach of more than 1.75 billion identities with 99.999% availability. Fine-grained consent management: This fulfills GDPR’s privacy and security requirements comprehensively (with only a single solution required). Excellent integration with social networks: Janrain invented social registration/login, originating at Yahoo in 1997. This strength provides broad access to deep user data for comprehensive marketing analysis. It also extends to services leveraging HCP, Telco, Bank, and Government IdPs for “bring your own ID” use-cases. Internet of Things (IoT) integration via OAuth2 Device Flow: Janrain was the first to enter into the IoT space in 2011 with over 50 application use-cases today. Janrain is ready to assist organizations in the coming flood of IoT data, associated group and delegated authority complexity, and the dramatic increase in security, privacy and scalability needs. Privacy Shield certification: This ensures data protection compliance with transatlantic commerce requirements. It is an example of a leading position in overall certifications and attestations. Top innovative features: This includes API access, authenticator selections, consent-per-purpose management, consumer account protection service integration, IoT device identity integration, microservices architecture and support for standards such as FIDO and Kantara’s UMA. Janrain uses both internal network and identity risk intelligence, leveraging its partners like Akamai for an advanced behavioral-based and continuous authentication service that is based on a large amount of data. AI and machine learning is only as good as the data it operates on. 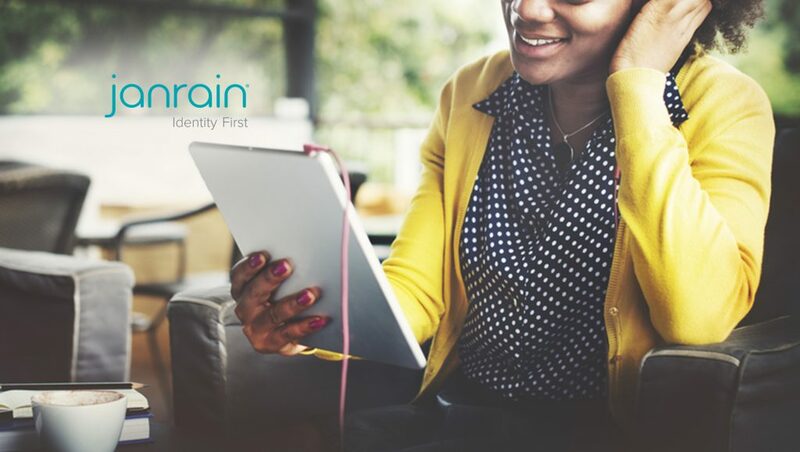 Janrain has been investing in the ability to stop registration fraud, login fraud, and known-good-identity account compromises.